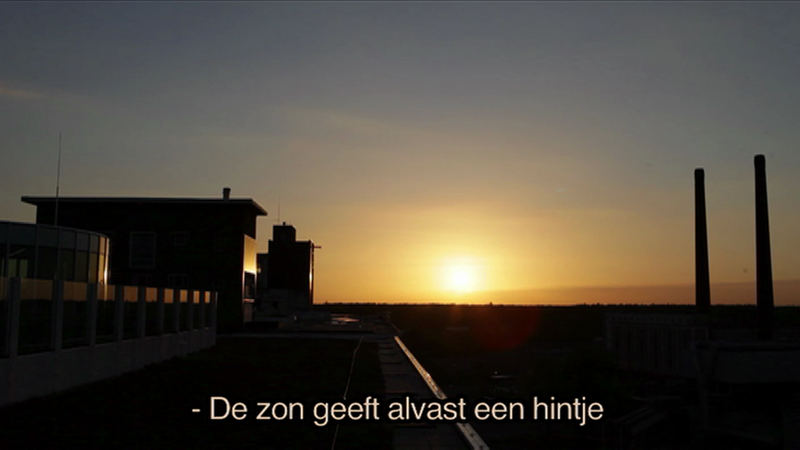 Same Time, Always Behind, an ongoing performance-for-video series, expresses the connective power between two individuals kilometers apart. 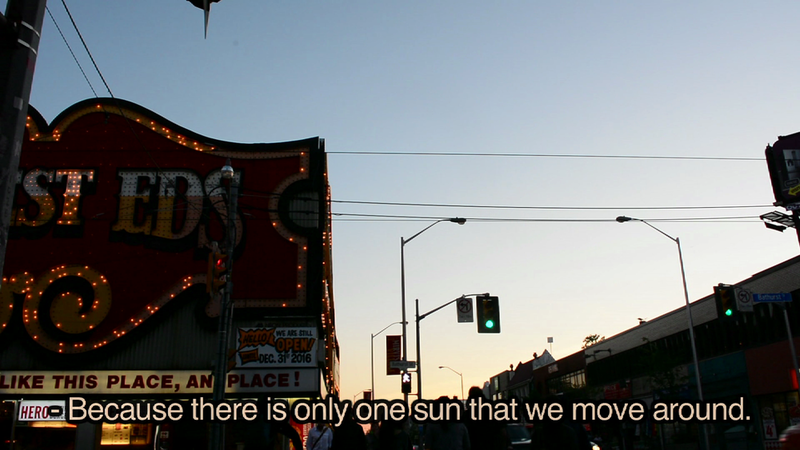 DiCarlo performs with a collaborator living at least one time zone away to witness and document a sunset "together". Performed within the same 24 h duration, each participant captures their respective time zone's sunset and logs their subjective observations. For this iteration, DiCarlo partnered with Hanneke Wetzer, an Eindhoven-based artist and designer, to complete the performance.Installed within two opposing shipping containers, the individual experiences are viewed together, resulting in a post-constructed "compounding of time" as though the two had been physically together and simultaneously shared in the same experience.